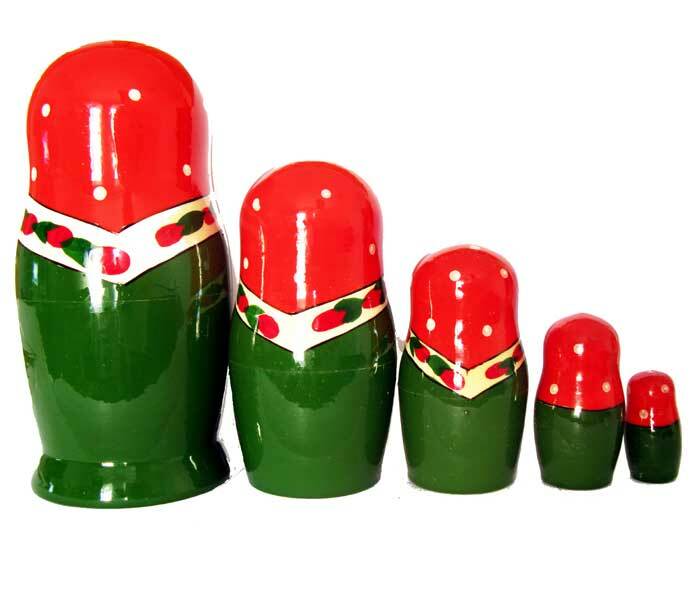 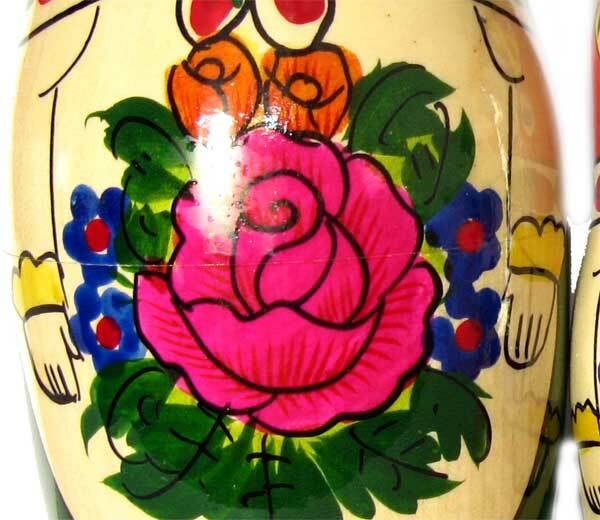 5 pieces set, size 16 cm/6-1/3"
Matryoshka Doll Alionka is painted in Semionovo style is easy to recognize - they are painted with bright colors, mainly red and yellow, bright roses are painted on the front side of the nesting doll. 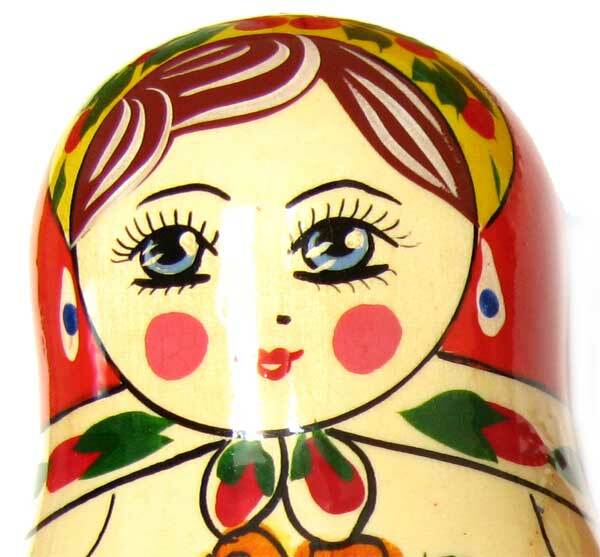 With these laconic signs all dolls by different artists look different. 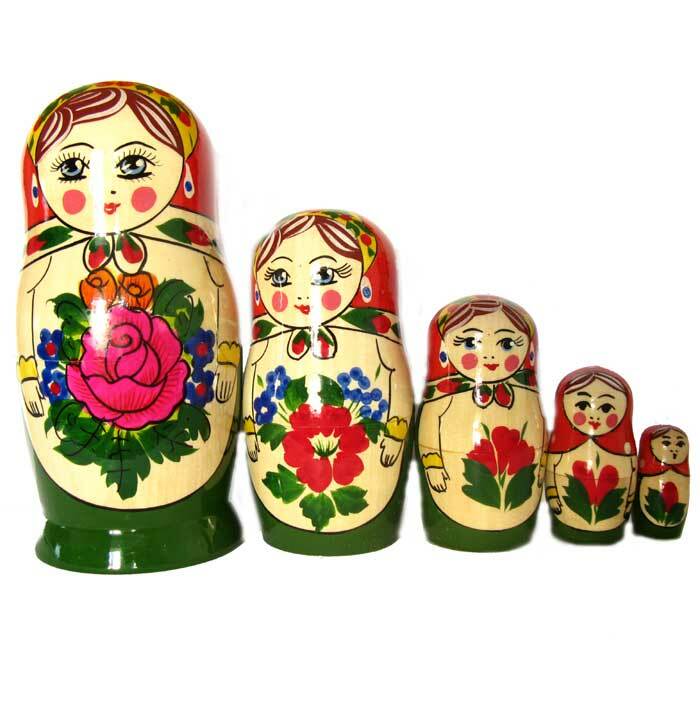 The first Semionovo nesting doll was painted in 1913 and since that time this style was developed into unique style of decorative painting.